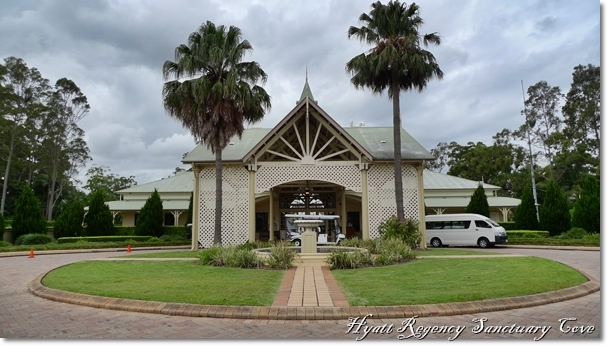 A far cry from the usual posh, stylish and contemporary Hyatt resorts, Hyatt Regency Sanctuary Cove @ Gold Coast, Australia sets the mood for a laid back, relaxed and rejuvenating experience with its timeless design and classic ambience punctuated with lush greeneries. So okay, I was away for the whole of last week mainly for work. First portion of the week was spent in Gold Coast of Australia, then the second half back in my home country, but on an island that’s overflowing with hawker delights. But that’s material for another post. 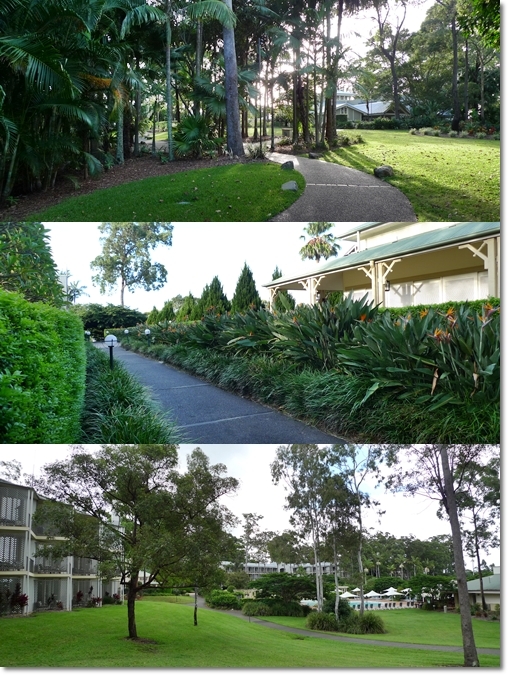 This was my first visit to Gold Coast, and even Australia. Yes, our beloved (ambitious) Air Asia started the Australia routes since God-knows-when and yet there was no urge for an immediate excursion to Down Under. Even when our Ringgit strengthened against the Aussie dollar sometime last year (to an irresistible tune of RM2++ to AUD1!!). This time around, it’s RM3.10 to AUD1, but since work beckoned … there was no choice but to brace myself for a whirlwind journey that lasted a good few days. Since it was still summer (albeit almost at the end of the tanning season), I was well prepared for a steamy/sweltering hot session at the beach with white sandy beaches stretching to no ends, sun-kissed bodies tanning on the beach, and high waves catching the eye. To no avail. 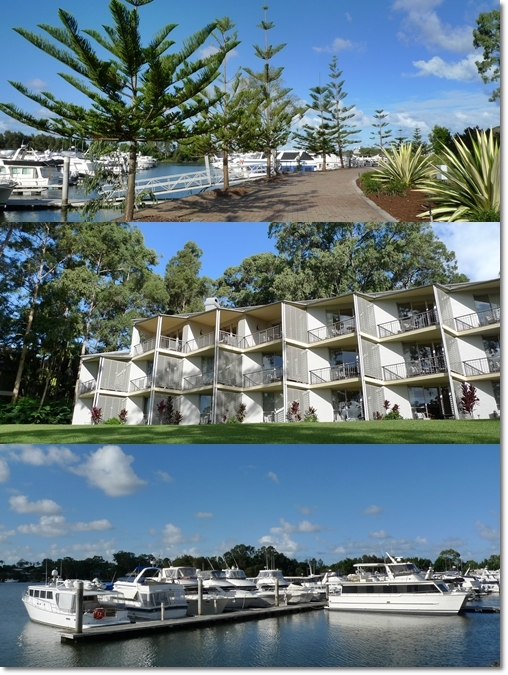 Since we were put up at Hyatt Regency at Sanctuary Cove to the north of the island; a good distance away from Surfer’s Paradise, my dream of frolicking in the sands was dashed. Somewhat. 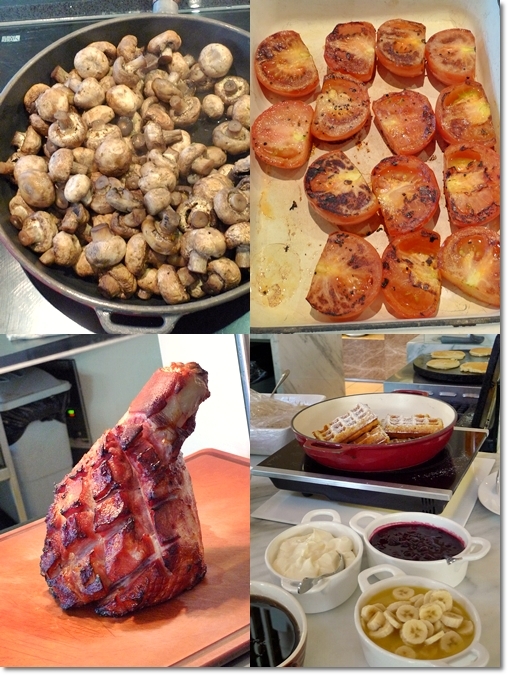 Read on for more enticing shots of the stay, and of course … the FOOD. The room with the opened sliding glass door was my room. Overlooking the pleasant green fields extending to the dock with yachts lining by the waters. This place reminded me of our very own Swiss Garden Damai Laut Resort in more ways than one. Firstly, the resort was isolated from civilization. 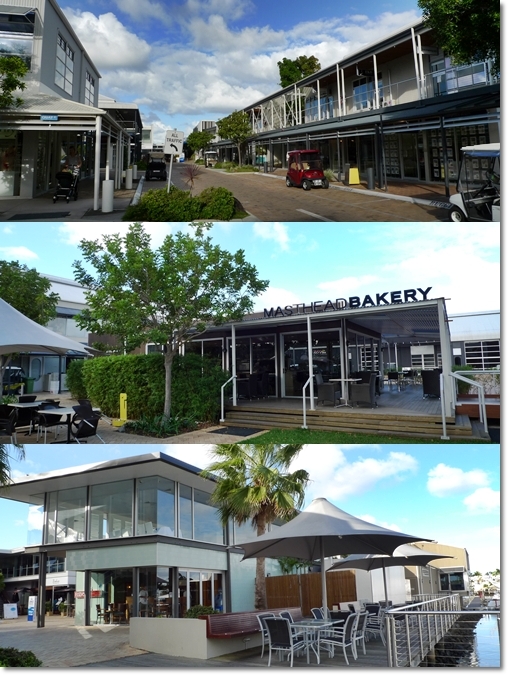 You don’t see retail shops or restaurants within walkable distance. Secondly, putting up at this hotel entails an entirely relaxing experience; complete with the sounds of birds chirping, insects mating (erm, maybe not), cool breeze blowing come day or night, and meals in the hotel itself. Unless you’re adventurous (and don’t mind paying a HUGE sum for the cabs … more on that later) and don’t mind wandering out to town for your meals, you’d be better off staying put and stuffing your face at the various in-house dining solutions. But at least the room came equipped with all the amenities you could ever need, including a television set with cable channels. Still wondering how did we survive the night at Jati 3 Bungalow in Ubud of Bali, purely listening to crickets chirping without the luxury of TV/radio. 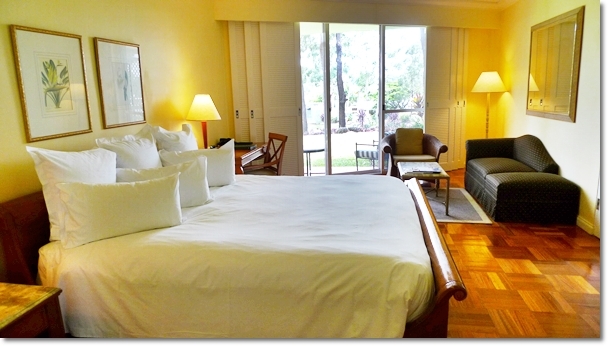 But then again, that’s the true purpose of visiting Ubud anyway …..
One bed, one person, 6 pillows. Wonder if they expected me to have a pillow fight or something? 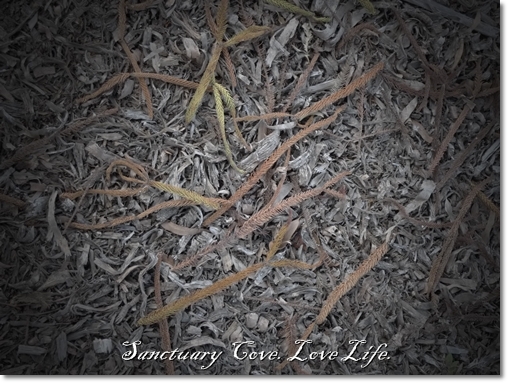 “Sanctuary Cove – Love Life” – The motto there, and why shouldn’t you? By the way, the properties there go for up to a few millions each, in AUD. If you have moolah to spare, why not? Interesting. 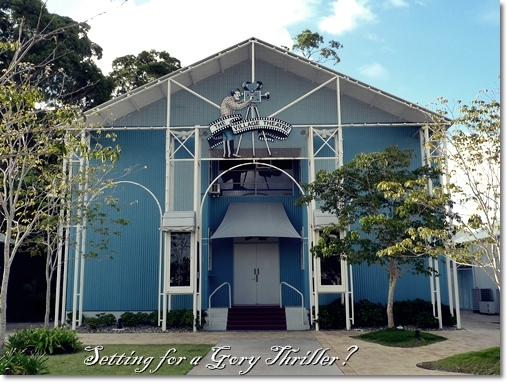 Was not sure whether this was a studio for film shooting, or a warehouse to stash decapitated heads. Hehe .. kidding. Maybe this WAS a cinema after all. 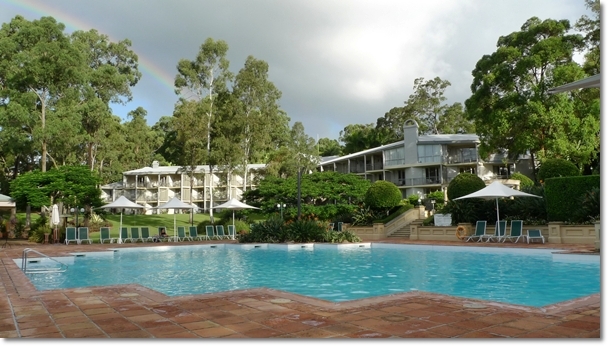 The swimming pool at Hyatt Regency Sanctuary Cove, and the rooms at the background. See the rainbow in the picture? Gorgeous. The salt water pool with a man made beach. Pity this was under-utilized …. since I highly doubt you can surf here, nor even waddle/snorkel comfortably. 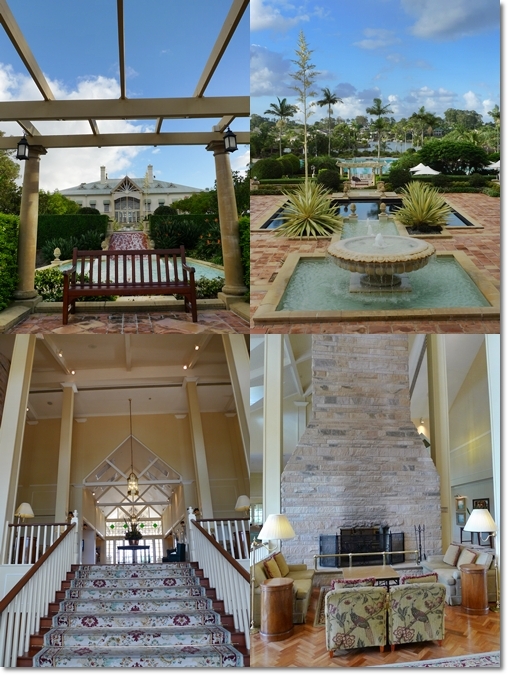 A breath-taking view of the surroundings, and the interior lobby of the hotel. See the smoke chimney and the gorgeous carpeted staircase? 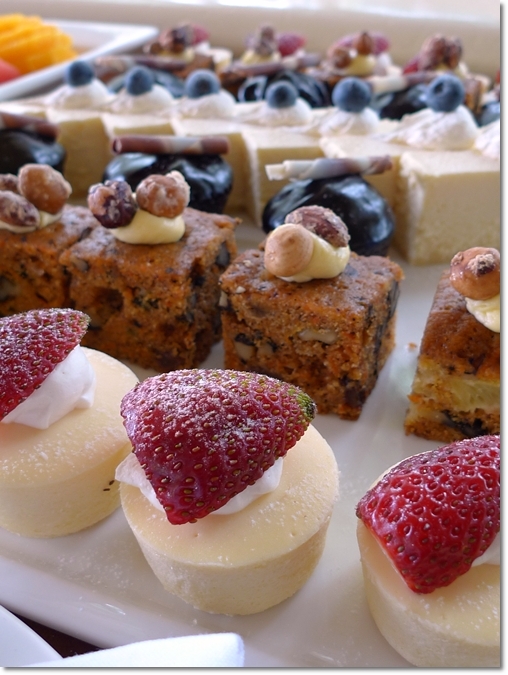 This brought back memories of the high tea at Smokehouse. 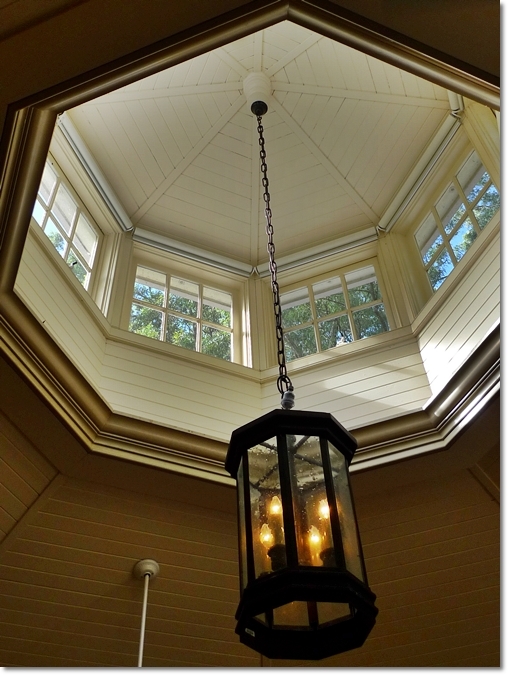 Even the meeting hall came fixed with a mechanism to let the natural light shone through from the windows. A very pleasant thought, and probably one that should be emulated here since we have sunshine all year round. Okay okay … if you’re still hanging around, I bet you’re frustrated now. Why after the 10th picture or so, yet still NO food one?!!! So here are a few, before you decide to launch an avalanche of durians as projectiles. Breakfast spread that were WAY more than hearty. Sinful, even. Freshly made waffles and pancakes with fresh cream, bananas in syrup and jam, or maple syrup with a sprinkle of nuts. 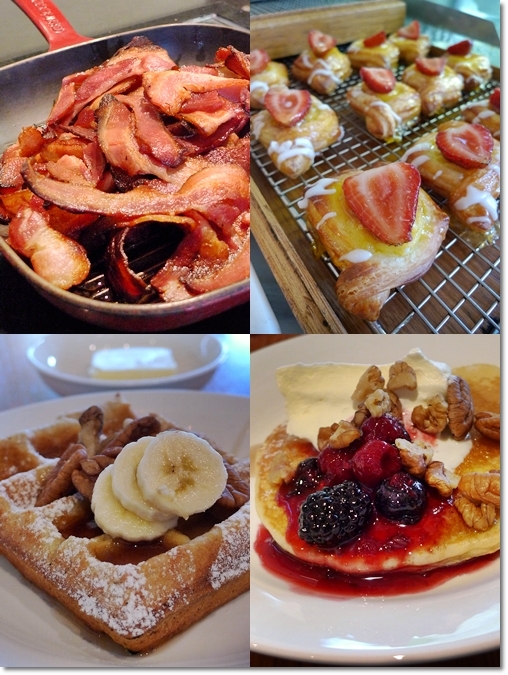 Streaky old greasy bacon in a pan, various pastries and of course… the fresh waffle and pancake took the spotlight. Not in the picture : fresh cuts of salami, ham, smoked salmon, various salad, cheese platter with crackers, fresh breads, pastries, and even …. fried rice. Which was not too bad either. Even in the meeting, we were tempted to indulgences like these. How not to grow horizontally eh? Lush greenery that stretch as far as the eyes can see. Breathing in the fresh morning air was a delight to the senses; almost an instant pick-me-upper before the caffeine shot. And do follow for the next installment when latte gets smooth and creamy, and the generic breakfast set got a facelift. And that folks, ended this first chapter in the saga. Won’t be as frustratingly never ending like the others in my travelogue. But still …. I foresee 3 chapters in the making. IF … I can still catch up on work, sleep, rest, food hunts (hey, someone/anyone ask me out already!) etc. 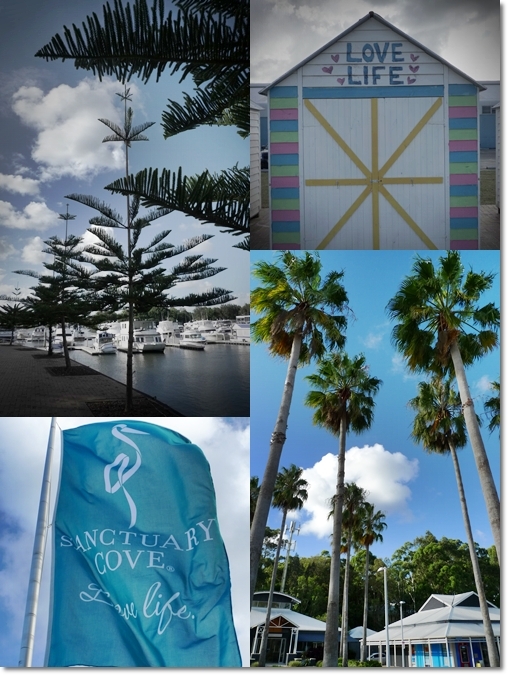 *For more information on Sanctuary Cove, jump HERE. 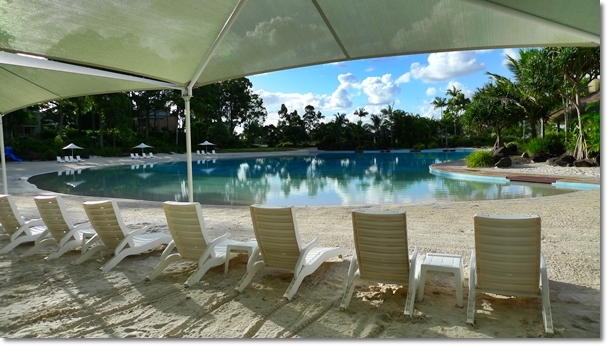 For reservation and information on Hyatt Regency Sanctuary Cove, click HERE. Haha… Singapore yes. Somewhat. Since we did transit there, but just spent an hour or so at the airport. So you’re not entirely wrong. can spend half day strolling around the resort hor… like it!! What is the drumstick look alike thing at left bottom of ur 1st food photo? Was a smoked ham or something. Did not bother to ask him to carve though, since was already full from the other selection. I don’t recall having such good food the few times I was in Gold Coast. Next trip must check with the motormaster here. Haha … nolah, better not. This was a haphazardly planned getaway. I feel cheated! 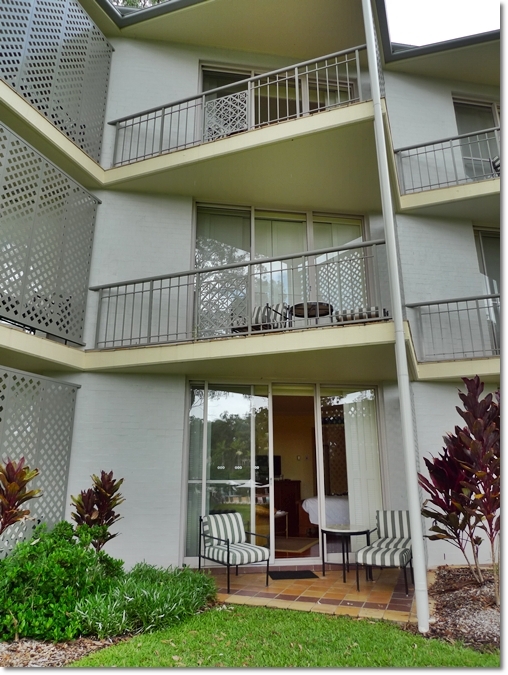 I went to Gold Coast, shacked up in some resort but I did not get a bottomless pan of streaky bacon! Haha ….. I had a few, and kept going till I was all pancakes, bacon and eggs. How I wish. But then again, this resort was slightly off the beaten track. More secluded and serene compared to the active Surfer’s Paradise. Hmm.. good point. Now if only the journey did not take so long …. the waiting, the check in, the cab, the flight …. Then to imagine we spent only about 2+ days there! see see see…working in private. how great right?! Nolah …. you CAN. In fact, strange enough, I just had continuous pep talks with peers still in the service, and those already out. Throughout this weekend in fact. You’d be pleasantly surprised at the outcome.